To engage, enlighten, empower, and inform life-long learners in the Brazos Valley. We improve quality of life by promoting workforce development and early literacy through informative and entertaining programs and high-quality materials. Our team, including volunteers, creates community connections, fuels the imagination, and respectfully teaches, guides, and serves our community in a welcoming environment. Goal One: Develop and maintain a quality collection of materials in various formats and languages that reflects the needs and use patterns of the community to offer popular and useful materials for library users. Objective A: Over the next year, identify and reach out to three (3) organizations/groups within the community to help the library system assess our Spanish collection. Objective B: Over the next six months, update our collection development policy. At the beginning of each fiscal year, librarians will publish a calendar of 36-48 display themes. 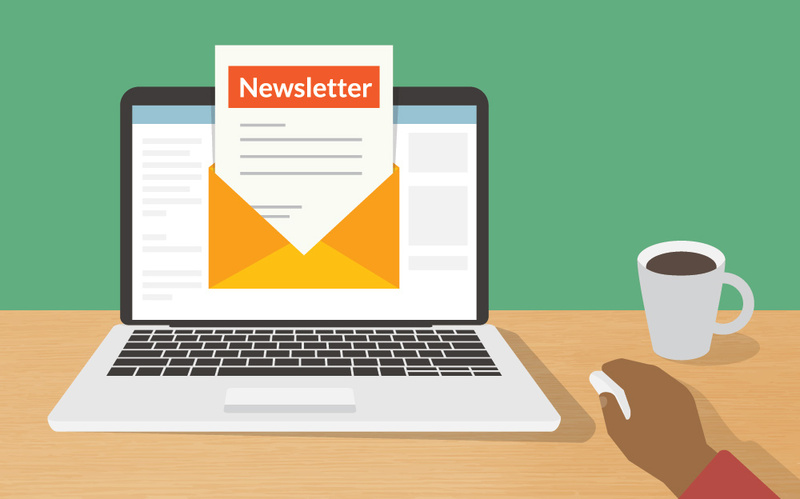 Objective E: Publish monthly and send through e-mail, internal reports on purchasing decisions and trends. Objective F: Complete an inventory within the fiscal year to ensure an up-to-date and complete record of the collection. Objective G: By the end of each fiscal year, identify key areas of data that can be shared with the public that expresses the value of the library system. Goal One: Actively pursue technologies that assist the library in its mission to meet the educational, informational, workforce development, and recreational needs of area residents. Objective A: By 2020, obtain four (4) children’s computers at each branch. Objective B: By 2020, conduct research to replace Summer Reading Program /volunteering databases. Objective C: By 2019, quarterly meetings will be established with College Station, Bryan and the library system to promote better communication. Objective D: By 2020, the library system will obtain staff scanners, color printers and other patron focused equipment. Objective E: By 2020, the library system will have authored a report about the feasibility of adding off-site registration capability to the Library System software suite. Objective F: By 2020, the library system will investigate and write a report about communication and work productivity software systemwide. 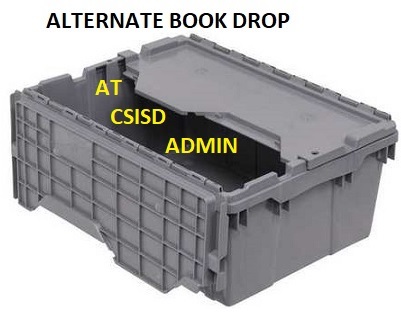 Objective G: By June 2019, the Ringer library will obtain a cstx.gov e-mail from College Station. Objective H: By 2020, the library system will start an iPad pilot program so that by 2024 20 iPads will be available for use in programming and outreach. Objective I: By 2024, two (2) staff members will obtain training to teach coding languages. Goal One: Ensure that physical facilities, infrastructure, and equipment are well maintained to provide an accessible, safe, comfortable, and attractive environment for library users and staff. Objective A: Develop a routine maintenance and cleaning schedule for each library branch by March 2019. Objective B: By February 2019, identify a building proctor and committee to set up and oversee scheduled cleaning maintenance. Objective C: Any health and/or safety concern shall be handled within one (1) month after reporting. Objective D: By March 2019, require supervisors to schedule staff time to allow for work on the maintenance and cleaning schedule. Objective E: Work closely with the City of Bryan administration to immediately bring all facilities into Americans With Disabilities Act (ADA) compliance. Goal One: Provide programs and services to meet the educational and cultural needs of children and youth, their caregivers and families, with special emphasis on fostering the love of learning and reading. Objective B: Conduct one (1) adult patron survey and one (1) youth patron survey on potential programming by February of 2019. Objective C: Plan and implement by April of 2019 six (6) new one-time programs and two (2) new serial programs based on the survey results. Goal Two: Provide programming and services to meet the educational, informational, and recreational needs of adults and seniors served by the library system. Objective A: By June of 2019, create a survey for adults about their programming needs and have it available at three (3) locations, during community programs, and on-line. Objective B: Provide two (2) programs a year in languages other than English to serve new demographics. Objective C: To support healthier communities, create at least three (3) health-related programs for adults each year. Objective D: Develop local history programming for all library branches at least once a year to create community connections and educate patrons about our community. Objective E: Provide two (2) new practical technology programs a year to help the community stay up-to-date. Objective F: Create two (2) programs a year targeting the male demographic to expose them to the quality of library programming. Objective G: Provide monthly library tours to show how the library works and what is available through the library system. Goal One: Partner with other local organizations to create new events held in library facilities. Objective A: Annually partner with six (6) community groups so they can provide information on what programs and services they offer to the community and create twelve (12) displays for library branches that exhibit what they do. Objective B: Create templates and guidelines for local organizations to create bookmarks about their programs and services that can be distributed through the library system. Goal Two: Work with local community marketing staff to publicize existing and new library programs and services to new and existing audiences. Objective B: At least weekly, produce social media posts and ask City marketing staffs to share them. Objective C: Attend six (6) outreach programs (such as Senior Fair, World Fest) annually. Objective D: Increase by 50% the number of program sessions that are popular and need to be conducted on multiple occasions. Objective E: Increase by 33% the number of television or radio spots on an annual basis. Objective F: At least quarterly, prepare and publish a complete list of all library programming and services and disseminate to each City’s marketing staff. 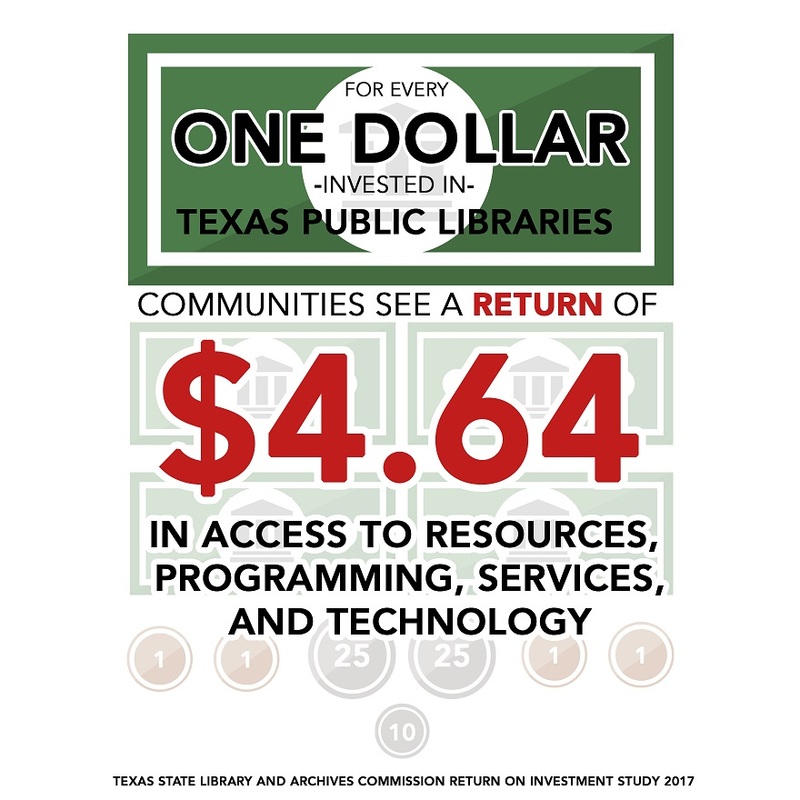 Goal One: Keep Bryan + College Station Library System up to Texas Public Library Standards and meet the requirements of state accreditation with the Texas State Library and Archives Commission. Objective A: Library System administration will submit state required accreditation forms to the Texas State Library annually to maintain the System’s access to ILL, TexShare Database, TexShare Cards, and State Library administered grants. Goal Two: Develop a well-trained and professional staff to assist all library users. Objective B: Develop and conduct monthly refresher training sessions to ensure all staff are up to date on policies and procedures. Objective C: All staff members will cross train in other library departments at least once a quarter. The Library Board consists of eight members. Four members are appointed by the Bryan City Council, and four are appointed by the College Station City Council. Members are appointed for two-year terms. The Library System Director, Larry Koeninger, serves as an ex officio member. The Board, serving as an advisory board, recommends to the city councils policies and programs for the advancement of the libraries and cooperates with all other public and private groups in advancing the best interests of the library system. Meetings are held at 5:15 p.m. on the third Wednesday of January, March, May, July, September, and November. The location of the meeting rotates between the Clara B. Mounce Public Library, the Carnegie History Center, and the Larry J. Ringer Library. 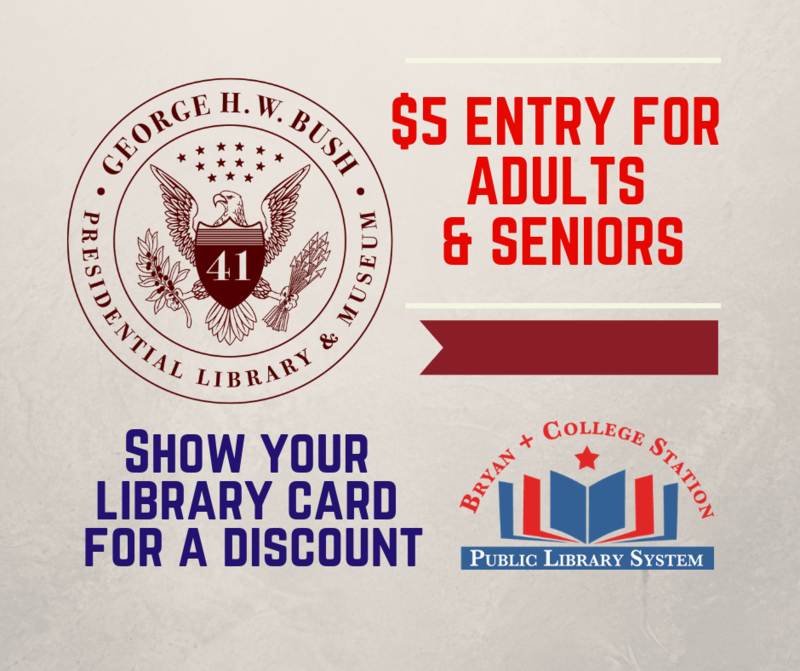 For more information, contact Library Director Larry Koeninger at (979) 209-5611. The Board shall be comprised of eight members. Four members from Bryan shall be appointed by the Bryan City Council and four members from College Station shall be appointed by the College Station City Council. All terms will be two-year terms. The Library System Director shall be an ex-officio member of the Board. The Library System Director, or the Director’s designee, shall attend all Board meetings. The Advisory Board shall perform the following duties: encourage the development of the library system; recommend to the city councils policies and programs for the advancement of the libraries; cooperate with all other public and private groups in advancing the best interests of the library system; render to the city councils all recommendations it considers advisable regarding the library system. Officers of the Board shall be chosen at the second meeting of the year and shall be: president and vice-president. Officers shall serve for one year. The president shall preside at all meetings, appoint special committees as needed and authorize calls for any special meetings. The vice-president assumes the duties of president in the absence of the president. Special committees may be appointed by the president. Such committees are to serve until the completion of the work for which they were appointed. All committees are expected to make a progress report at each Board meeting. The Board shall meet every other month beginning with January. The Library System Director shall provide a secretary to keep a permanent record of the meetings. The Board shall comply with the State of Texas Open Meeting Law and other laws of the State and the Cities of Bryan and College Station. Special meetings may be called by the president, or upon the request of four members, for the transaction of only that business stated in the call for the meeting. Notice of special meetings shall be sent at least four days in advance. A quorum for the transaction of business shall consist of five members of the Board. These bylaws may be amended at any regular meeting of the Board when a quorum is present by a unanimous vote, providing the amendment was stated in the call for the meeting. When a unanimous vote is not obtained, the proposed amendment may be placed on a future agenda at which time a majority vote is required for passage. Read “Library Services — Rich Past, Bright Future” by retired Community Librarian Clara B. Mounce. Click here to view our policies page. The Bryan + College Station Public Library accepts cash donations and donated items (books, audiobooks, magazines, videos). If you have any questions please give us a call or fill out our online contact form. Cash donations may be made in honor or memory of an individual and are typically used to purchase books. Fill out a donation form to list the person and occasion, and you may specify a subject area for the books to be purchased with your donated funds. If you would like to donate cash for another purpose or have questions, please contact Library System Director Larry Koeninger at (979) 209-5611 or the Carnegie Branch Manager Rachael Medders at (979) 209-5634. Cash donations for eBooks may be made using the eBook form. If you would like for us to purchase a specific title, please list it on the form. Unfortunately, not all titles are available for us to purchase as eBooks. If the title you request is not available, you will be contacted for an alternative title. Books, magazines, audiobooks, and videos are accepted at the Mounce Library in Bryan and the Ringer Library in College Station. Donations may be added to the libraries’ collections, placed in a Friends of the Library book sale, or placed on the free shelf. Donations should be in good condition. If you would like to donate an item in memory of someone, please contact Library System Director Larry Koeninger at (979) 209-5611. We do not charge for placing a bookplate in a donated book, but the item must fit with our collection development policy in order to be accepted. If you are interested in donating anything to the Carnegie History Center, please speak with Carnegie Branch Manager Rachael Medders at (979) 209-5634 to determine whether the Carnegie would be interested in the item.